Edmund Reoben Parker was born about 1821 at Saint Helier, Jersey in the Channel Islands. On 2 August 1856 he married Mary Durell (d.1887), daughter of Francois Kerby and his wife Jeanne or Jane, née Guilleaume. It has not been determined whether the marriage took place in Saint Helier in the Channel Islands or at Auckland in New Zealand. They had at least two daughters. He died at Paddington Sydney in 1888, aged 62. The Parker family came to Australia from New Zealand where their children were born. From 1877 to 1885, Edmund R Parker was a builder of 324 Crown Street, Sydney. In 1877 ER Parker, a carpenter and probably the same person, was at 15 Little Bloomfield Street. 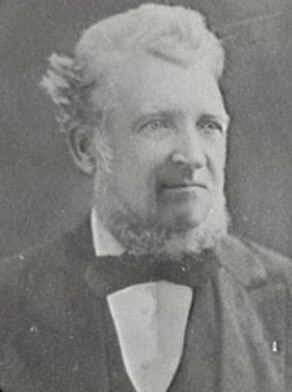 Parker was Alderman for Cook Ward, 1 December 1881 to 30 November 1885. City of Sydney Archives: Aldermen’s File; Photos: CRS 54/432; 54/469.